Rizatriptan is a selective serotonin receptor agonist of the 1B and 1D sub types used in the acute treatment of migraine attacks. Effective analytical procedures are required for qualitative and quantitative determination of a drug. 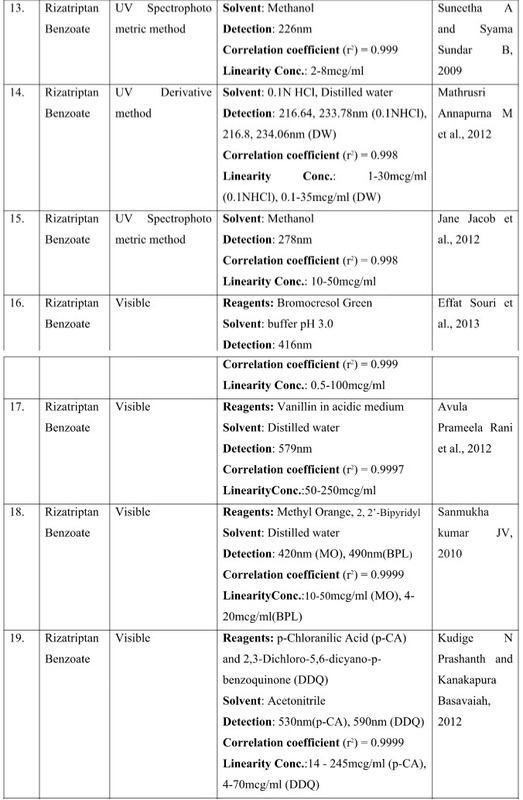 An extensive literature survey has been conducted in various analytical and pharmaceutical journals and the analytical methods which were developed and used for estimation of Rizatriptan in single or in combination with other drugs in bulk drugs, pharmaceutical formulations, biological fluids, stability indicating and impurity profiling methods have been reviewed. 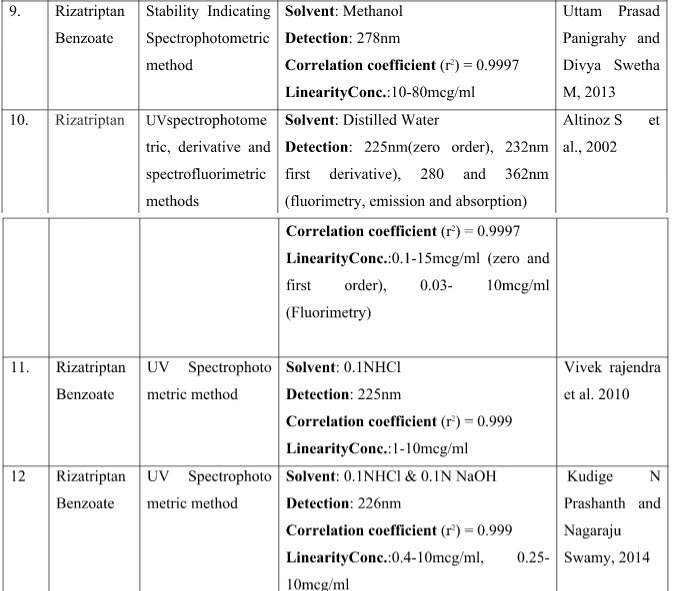 Various analytical methods used for the estimation of Rizatriptan reviewed in this paper includes Ultraviolet spectrometry, Visible spectrometry, High performance thin layer chromatography, High performance liquid chromatography, Liquid chromatography- mass spectrometry. Migraine is a common recurring headache of moderate to severe intensity that interferes with normal functioning i.e., gastrointestinal, neurological and autonomic symptoms [Barbara G Wells et al., 2005]. Migraine attack consists of an initial visual disturbance (aura), in which a flickering pattern, followed by a blind spot. This visual disturbance is followed for about 30min, later by a severe throbbing headache, often accompanied by photophobia, nausea, vomiting and prostration which lasts for several hours [Rang H P et al., 2012]. Migraine is a common condition affecting 5% of men and 15% of women [Clive Page et al., 2009]. Migraine headaches are subclassified according to the presence or absence of aura symptoms. Most persons who suffer from migraine do not experience aura symptoms [Brain K. Alldredge et al., 2013]. i. Neuronal dysfunction characterized by a wave of depressed electrical activity that advances across the cerebral cortex i.e., cortical excitation. ii. Trigeminal afferents from the dural vasculature are activated and sensitized by the local release of neuropeptides and inflammatory mediators. iii. Imbalance in the activity of serotonin containing neurons in brainstem nuclei that modulate cerebral vascular tone and nociception. This imbalance may result in vasodilation of intracranial blood vessels and action of trigemino vascular system [Barbara G Wells et al., 2005, David E. Golan et al., 2012]. • 5-hydroxytryptamine or 5-HT or serotonin is a neurotransmitter which is the target for many of the drugs used to treat psychiatric disorders such as depression and it play critical roles in modulating mood, sleep-wake cycle, motivation, pain, perception, neuroendocrine function [David E. Golan et al., 2012]. • Serotonin is synthesized from the aminoacid tryptophan by the enzyme tryptophan hydroxylase which converts tryptophan to 5-hydroxytryptophan. Aromatic L-aminoacid decarboxylase then converts 5-hydroxytryptophan to serotonin. 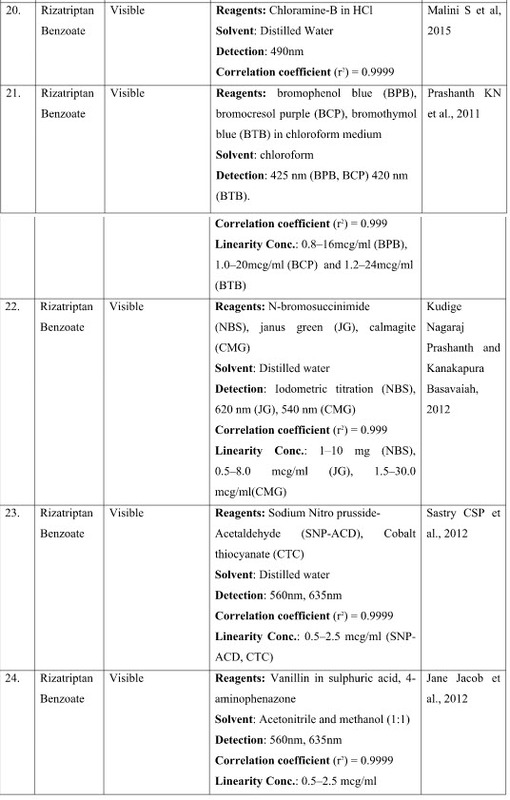 These enzymes are present throughout the cytoplasm of serotonergic neurons, both in cell body and in cell processes [David E. Golan et al., 2012]. • Abnormlities in 5-HT/serotonin activity play a role in migraine headache. Plasma 5-HT levels decrease by nearly half during a migraine attack, with a corresponding risk in the urinary excretion of 5-hydroxyindole acetic acid, the primary metabolite of 5-HT [Brain K. Alldredge et al., 2013]. 1. Mild: Simple analgesics/ NSAIDs such as Aspirin, Naproxen sodium, Tolfenamic acid, Indomethacin, Mefenamic acid etc. with antiemetic. 2. 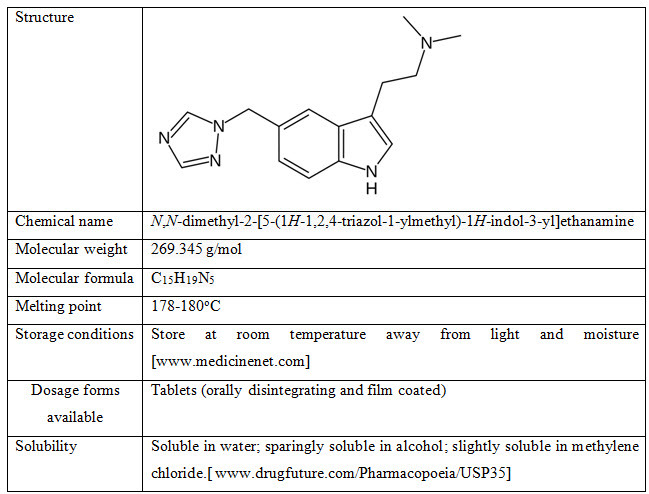 Moderate: Combination of NSAIDs such as Aspirin with codeine, Aspirin with oxycodone. Combiination of Aspirin, Acetaminophen and caffeine was found to be more efficient. Combination of Acetaminophen, Caffiene and Butabital is given only for short periods since the combination can cause dependence [Clive Page et al., 2009]. 3. Severe: Ergot alkaloids, Triptans. Ergotamine is an adrenergic agonist with affinity for 5-HT1 receptors, stimulation of which leads to vasoconstriction. These drugs are contraindicated in patients with coronary artery or peripheral vascular disease [Clive Page et al., 2009]. Triptans are 5-HT1 receptor agonists, very active against mild to moderate attacks of migraine. This is the first choice of specific drugs in the symptomatic treatment of migraine. First Generation Triptans: Sumatriptan is the first generation triptan that is approved for use. Second Generation Triptans: Zolmitriptan, Naratriptan, Rizatriptan, Almotriptan, Frovatriptan, Elatriptan [Waldman and Terzic 2009]. It works by narrowing blood vessels in the brain, stopping pain signals from being sent to the brain, and blocking the release of certain natural substances that cause pain, nausea, and other symptoms of migraine [nlm.nih.gov/medlineplus]. Rizatriptan is readily absorbed from the gastrointestinal tract. The biological half-life of Rizatriptan is approximately 2-3hours. After absorption, rizatriptan (oral) is rapidly eliminated in urine[drugs.com]. 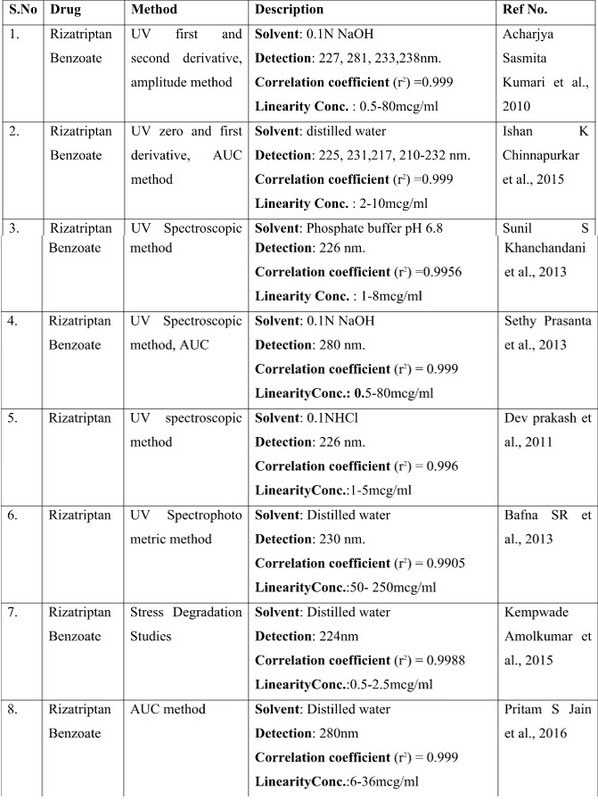 Various analytical methods have been developed for the estimation of Rizatriptan in single and in combination which includes Spectrophotometric, HPLC, HPTLC, LC-MS methods.